We hope this website will be of some use to you if you are researching relatives in and around Doncaster, South Yorkshire, England, although the Society's records are not limited to Doncaster. 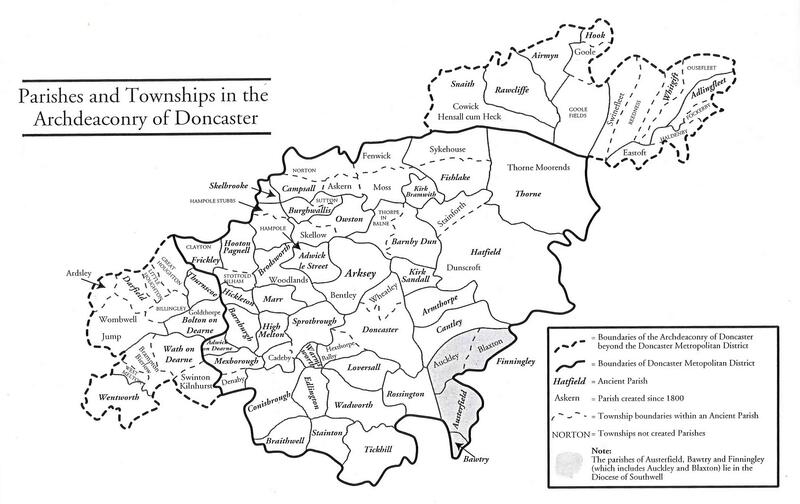 Click here to see a 1914 Doncaster Archdeaconry Map of Parishes and Townships covered by Doncaster and District Family History Society (map displays in a new window). Doncaster Ancestor is the membership journal of the Society. It is published, quarterly, on the last Wednesday in February, May, August and November. If you would prefer to have access online to the e-Journal version of Doncaster Ancestor, rather than receive a copy via the post, please email the Membership Secretary. Over the next few weeks you will notice that changes will have been made to the website. This is necessary to enable the Society to sell its publications directly from this website. A self-help group, which focuses on helping you to improve your computer skills and knowledge to assist your family history research. Are You making the most of our Members' Interests Service? All the Society's Publications and vast collection of resources are available to view and copy. The Society depends on the unpaid work of volunteers. Can you help?